ORFORD, Quebec – I’ve not lost my mind. I’ve not been paid by Toyota to write these words. I have seen a doctor for a routine check-up in the last nine months and I am perfectly normal, whatever that means. I mostly grew up with big cars and even though I love and own small ones, I’ve got a large soft spot for the ones that don’t fit in compact parking spots. 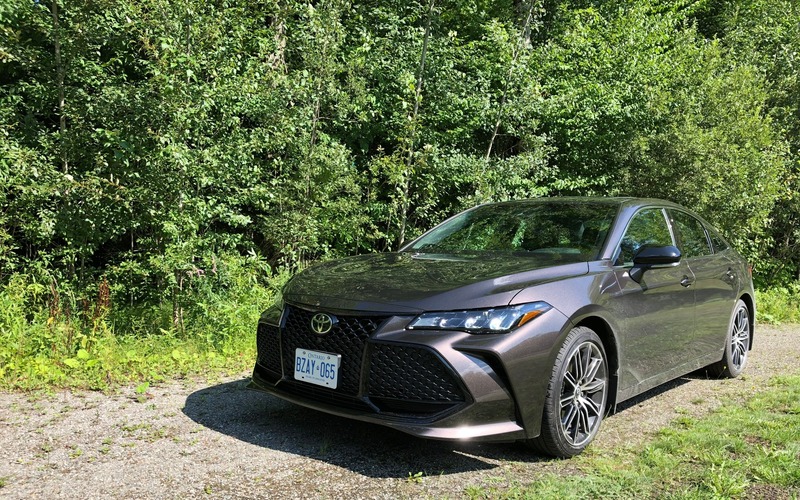 I’m finding it difficult to hold back right now… I want to say that the all-new 2019 Toyota Avalon is the best car Toyota has ever built. And when I write Toyota, I am excluding Lexus although I can count how many Lexii I’d consider better than the Avalon on the fingers of one hand, and I’m including the LFA… Keeping in mind that the “base” XSE retails for $42,790 and the loaded Limited is only $5k more, you’d need some really serious arguments to convince me not to purchase an Avalon. Here are the arguments I’ve come up with: The Avalon is purposefully held back in Canada because of the ES. 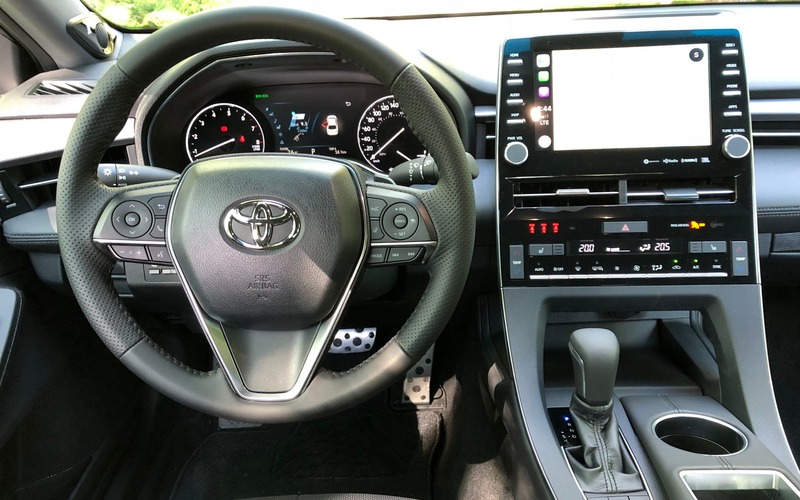 We do not get a Hybrid version, which I’m convinced is great (the Camry Hybrid is my favourite midsize sedan), AWD is not an option and last, and likely not least, the car’s old-man image. It’s tragic, but the Avalon conjures up thoughts of ancient couples driving the wrong way on a one-way street complaining about all the noise from on-coming cars. This is more or less equal to Buick’s repute. Like Buicks in general however, the Avalon is no longer what it once was. There’s an easy way to put this: Want a large car? Get an Avalon. You’ll never regret it. Never. How can I be so certain? You have two options: Go for a test drive or read what comes next. Thank you, I appreciate it. The Avalon rides on the company’s excellent new Toyota New Global Architecture or TNGA platform. This same platform is used in the most recent Lexus products, by the way. This modular and hyper strong building block does wonders for the entirety of the driving experience. It raises the refinement level to that of a Lexus LS. 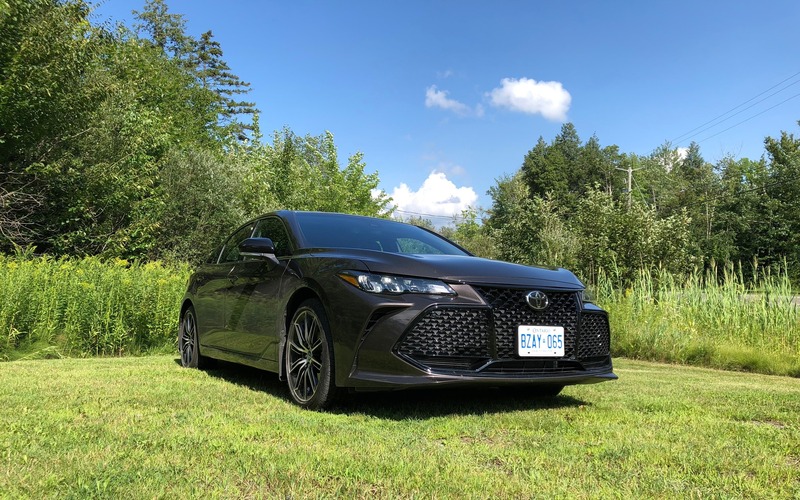 I drove one back to back with the Avalon and other than the Lexus’ seats, there was no considerable difference in noise, vibration or harshness. The TNGA also permitted Toyota to set up a new multilink rear suspension and even give it the old “sport-tuned” moniker for the XSE. In both cases, the Avalon rides firmly and comfortably over all surfaces and will even indulge the driver in some spirited moves should he or she feel for it. Steering is nice, the brakes are strong and best of all, the revised 3.5-litre V6 is as smooth and creamy as ever. Its 301-horsepower and 267 lb.-ft. of torque, all mated to an eight-speed automatic transmission, deliver responsive acceleration and surprisingly good fuel consumption numbers—you can expect low 9 L/100 km if you can stop yourself from exploiting the newfound power. In a bid to hunt for new customers, say under the age of 60, Toyota has loaded the new 2019 Avalon with as much tech as they possibly could. Standard features include a seven-inch gauge cluster display and a nine-inch touchscreen. Entune Audio 3.0, Apple CarPlay, wireless phone charging and a 14-speaker JBL audio system are all included with the XSE. The Limited throws in more kit, namely ventilated front seats, a 10-inch head-up display, power tilt & telescopic steering wheel, and more. For safety’s sake, Toyota simply incorporated everything they have into the car. It’s got Toyota Safety Sense and the Star Safety System. On the styling front, I was once a detractor of Toyota’s gaping grilles, but I’ve since revised my position. The XSE actually looks good, now anyway… Suddenly, the quad-tailpipes, 19-inch wheels, blacked-out trim and extra aero bits seem perfectly at home on the car. Inside, the car is swathe with lovely materials and plenty of luxurious touches. Unfortunately, some of the controls, specifically those mounted in the central raised portion of the dash that incorporates the screen, look cheap. They remind me of what the Koreans were doing five years ago. In conclusion, the 2019 Toyota Avalon is the perfect car to take you to Florida for your annual migration in complete comfort. It’ll shuttle you to see your grandkids and carry you and your buddies to the golf course without hesitation. Let’s not kid ourselves. The new Avalon is great, but Toyota won’t get 40- or 50-somethings to buy the car no matter what. 8/10	Better than reasonable for this segment. 9/10	Plenty of space for everyone, and everything. Comfortable seats. 8/10	Upgraded 3.5L V6 is as smooth as it is powerful. 9/10	Standard nine-inch screen, Toyota Entune 3.0 and big JBL sound system. 9/10	Like the Corolla, the TNGA makes for exceptional drive and handling characteristics. 9/10	There no longer are any substitutes in the large sedan category. Enough said.